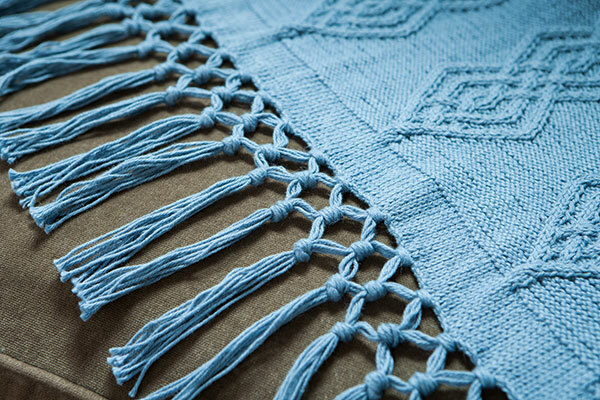 For the bohemian chic dwelling, a cotton blanket fills a niche all its own. 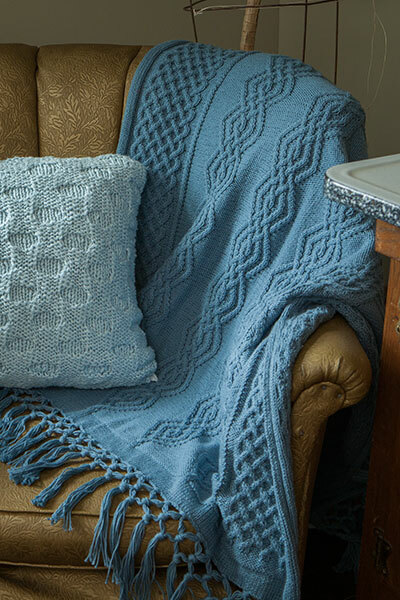 Combining the casually exotic qualities of simple plant fibers with more complicated and formal cable motifs, this timeless afghan is sure to become your favorite couch companion, with a soft and comforting drape and the rustic boho look of macrame. 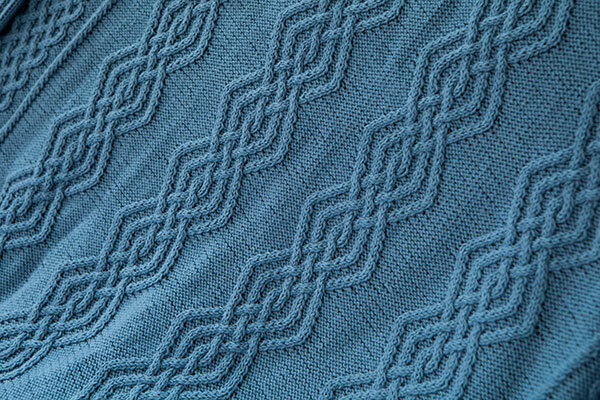 The Larkshead Throw is a generously sized rectangular throw worked flat from the short edge. 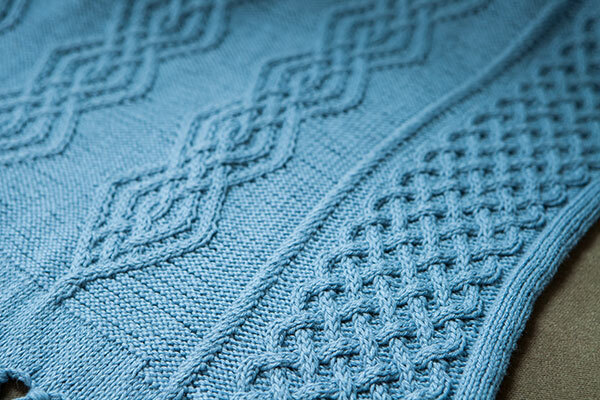 Stockinette ends transition to deeply knotted fringe, while the long sides are finished with an i-cord edging.